JOHANNESBURG – THE Zimbabwean government appears to have shot itself in the foot with the shutdown of the internet following violent protests. This comes amid estimations that the already dire economy was losing over US$5 million daily (about R68.6 million) due to the interruptions. A coalition of human rights organisations fighting internet shutdowns in the world alerted the government of the potential losses as tensions persisted in the Southern African country. “We estimate the shutdown will cost your country $5,742, 421 per day (R79.5 million) in direct economic costs, and will slow the realisation of economic, social, and cultural rights broadly,” the #KeepItOn Coalition stated in a letter addressed to Kazembe Kazembe, Zimbabwe’s minister of Information Communication Technology and Cyber Security. The #KeepitOnCoalition told government disruptions also destabilised the internet’s power to support small business livelihoods and to drive economic development. global economy between 2015 and 2016. On behalf of its 170 member organisations from over 60 countries, the #KeepitOnCoalition thus implored government (of Zimbabwe) to restore internet services. The advocacy group said shutdowns disrupted the free flow of information and create a cover of darkness that shields human rights abuses from public scrutiny. Angela Quintal, Africa Program Coordinator for the Committee to Protect Journalists, said the Zimbabwe government should ensure a free and open media environment by reestablishing internet and social media access. stifle the free flow of news and commentary,” she said. 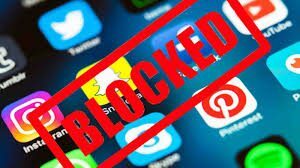 Zimbabwe is the fourth country after Democratic Republic of Congo (DRC), Gabon and Sudan to shut down the internet this year. Meanwhile all Zimbabwe newspapers’ online presence (websites) on Wednesday could not be updated as effects of internet shutdown impacted on media.